It’s been about a week since our family was told that things were really bad with my grandfather. He has been battling Parkinson’s Disease for 15-20 years now. The last time he ate or drank anything was a week ago, so his body/organs were shutting down. Thanks to being in Hospice Care they kept him comfortable with morphine under his tongue and he was peaceful the last few days. 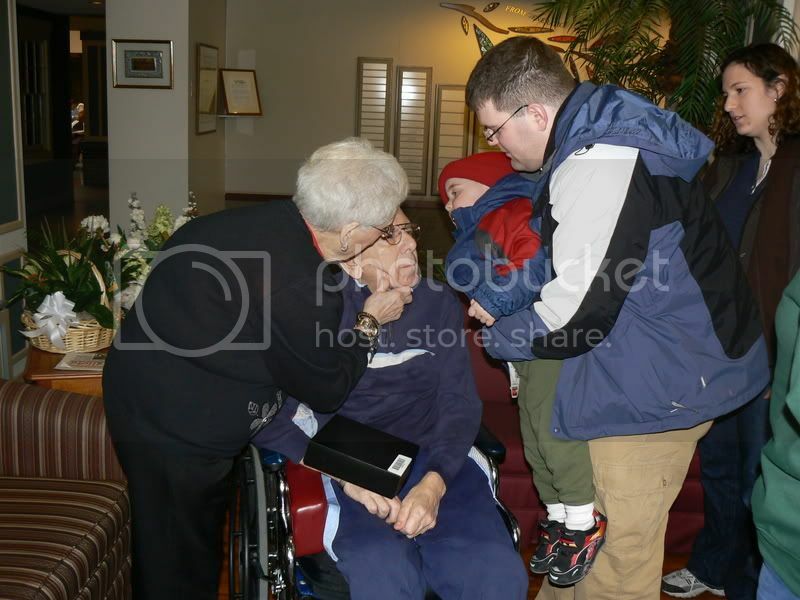 Wednesday my family was called several times to his bed at the nursing home that the end was very close. This happened several time Wednesday and again yesterday. My parents went home to rest for a little while. They got a call from my aunt to hurry to the nursing home that it was VERY bad. My parents did not make it there in time. 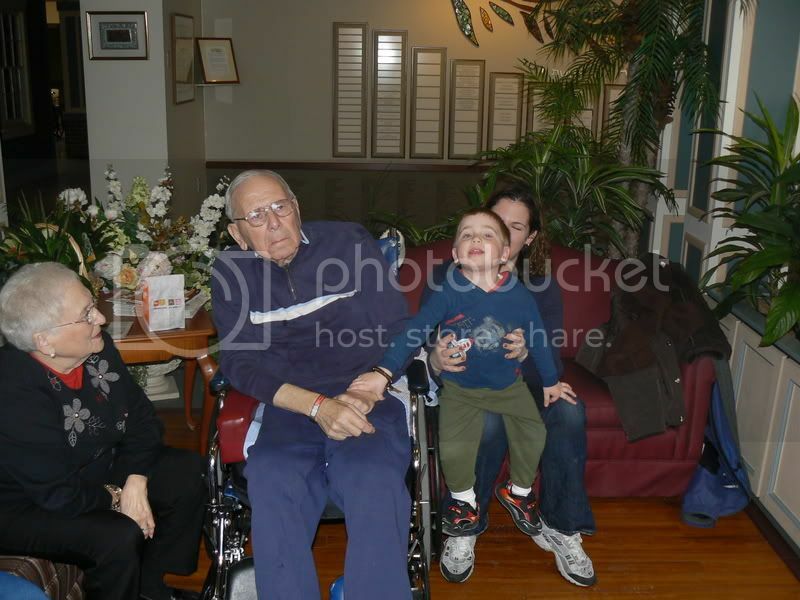 My Poppy S passed away at about 1:30 this afternoon. While we were waiting for my parents to let us know what was going on we talked with NHL again. When we told him that Poppy S was so sick and may die, he asked to go and see him. We explained that he was too sick for us to go to now. He was so sad and had the biggest puppy dog eyes. To pass time waiting for the phone to ring I read NHL the book “Nana Upstairs & Nana Downstairs” by Tomie dePaola. It is a beautiful book and I truly think NHL got it, even at just shy of 4 years old. We now know that the funeral will be tomorrow at 2:30, but few other details are available now. We’re trying to figure out how to get NHL back from nursery school since it doesn’t give us much time to get him after. This also means that we will definitely be changing the baby’s name. He will now be named for both of my grandfathers. The name will be announced soon enough . . . so please be patient. Will you be going to the cemetery too? I know my family holds that a pregnant woman shouldn’t go.